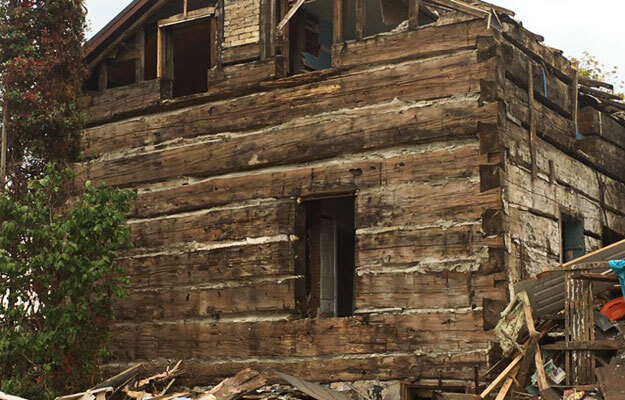 Getting a fresh face with a recent find, a 2-story, timber-framed-cabin and true historical treasure is making a come back to modern day life. 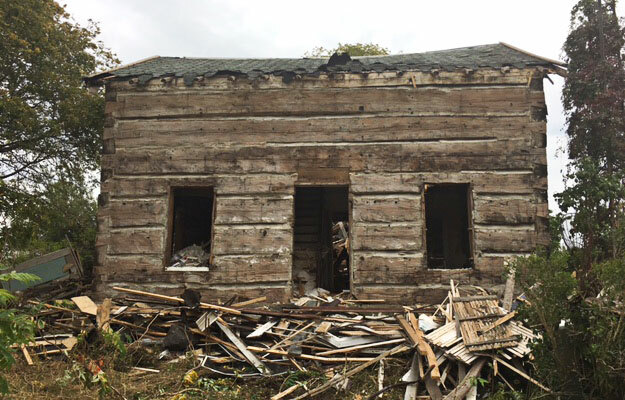 This homestead, family log cabin, dates originally back to 1850 near Paisley, Ontario, Canada. This timber-frame home includes some wonderful axe-hand-hewn hemlock logs with detailed dovetail corner joints in great condition along with a 22x26 second story floor of 5x8 hand-hewn elm was built by a very skilled craftsman in the 1800's. 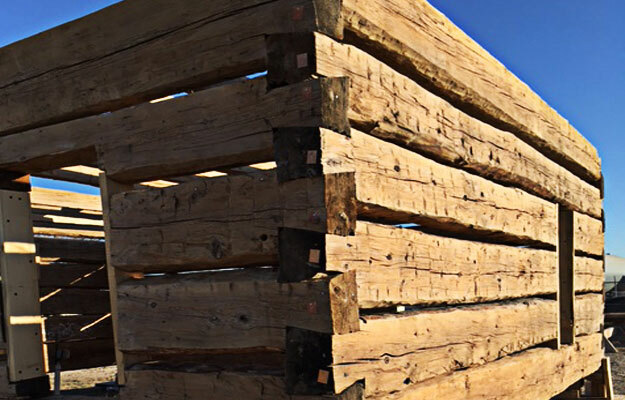 Recently disassembled and re-assembled, cleaned up and and ready to show at our Saginaw, Texas log yard. One of the best antique cabin finds we have come across in over 20 years. 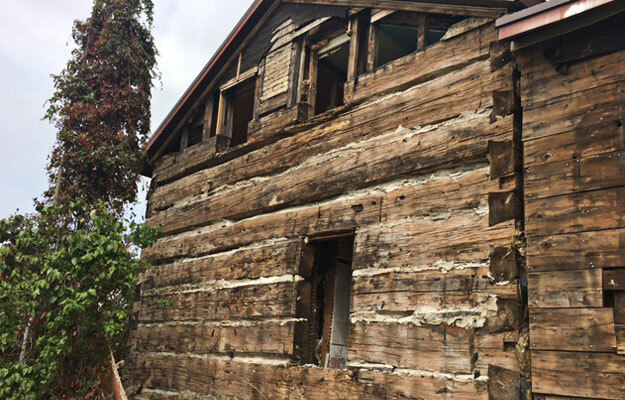 This historic log cabin is in particularly good condition because the exterior was covered in siding for most of the building's life. 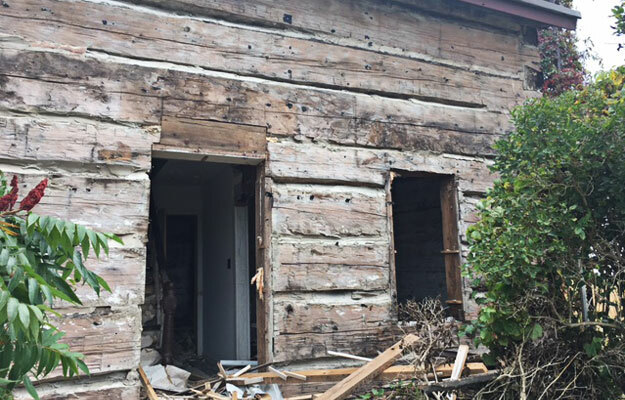 The pictures above show the building in its original location after the exterior siding was removed so you can see the condition of the logs. 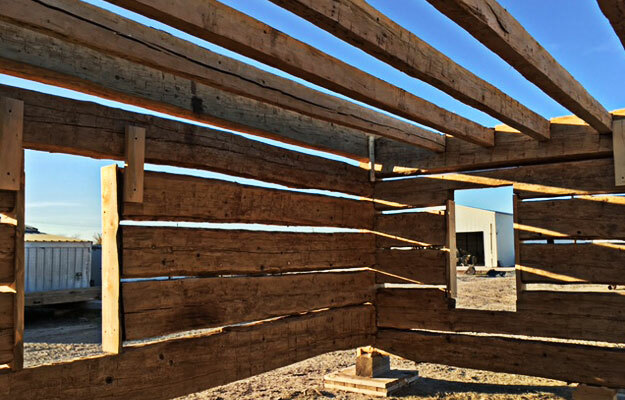 Additionally, the photos show the partial reassembly at our Saginaw, Texas log yard still with two rounds of logs to put up forming the knee walls on the second floor. Currently, we are about 2.3 of the way through the restoration process including power washing, debarking chink gaps, de-nailing and some general log repair. 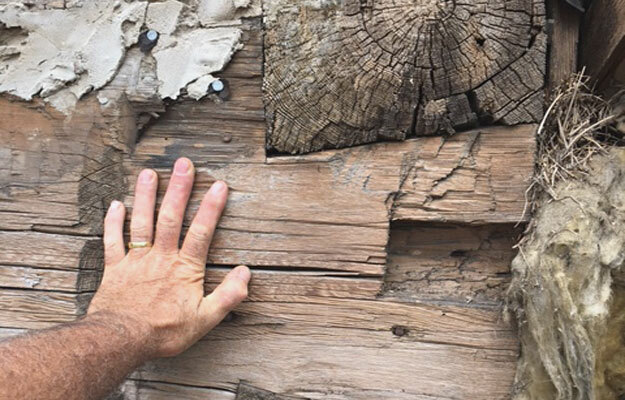 Lastly, we discovered some 1881 dated newsprint paper stuffed into a hole in one of the cabin's logs, most likely used to stop a draft or used as a backing for the original plaster. 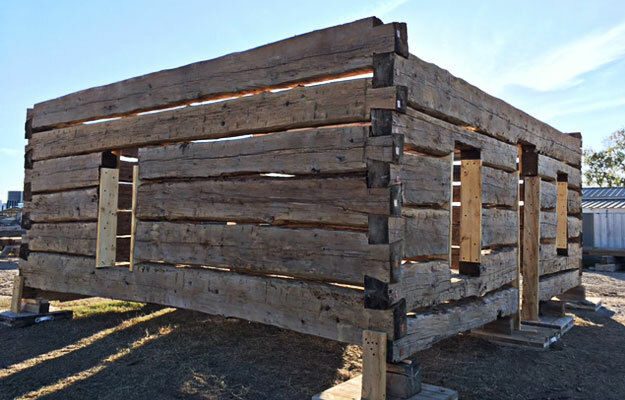 This log cabin has some true historical value and is beautiful as well. 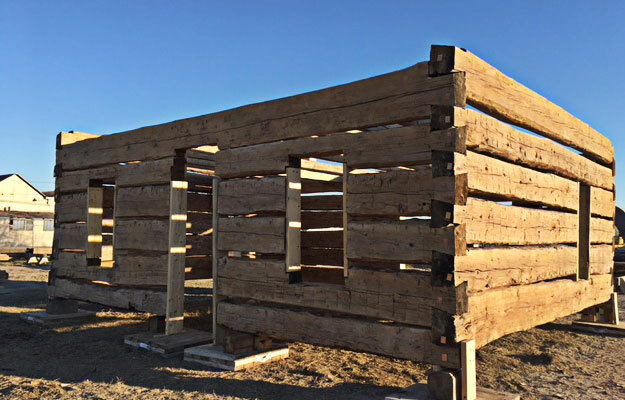 Call Southwest Log Homes today and make time to visit our log yard to take a look at this rare treasure of a log cabin as a wonderful addition to your property.